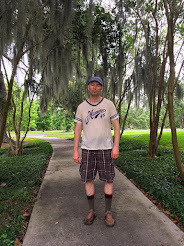 Zombie Logic From Thomas L. Vaultonburg, Outsider Poet: Dark Shadows 215: Is Willie Loomis a Vampire? Dark Shadows 215: Is Willie Loomis a Vampire? Opens at the Blue Whale. We learn Burke Devlin has previously tossed Willie Loomis out of the Blue Whale. But now Willie Loomis has disappeared again. Burke and Jason McGuire ponder Willie's whereabouts. Then Joe Haskell arrives and relates the startling news that a young calf on his uncle's farm was found with its blood drained. 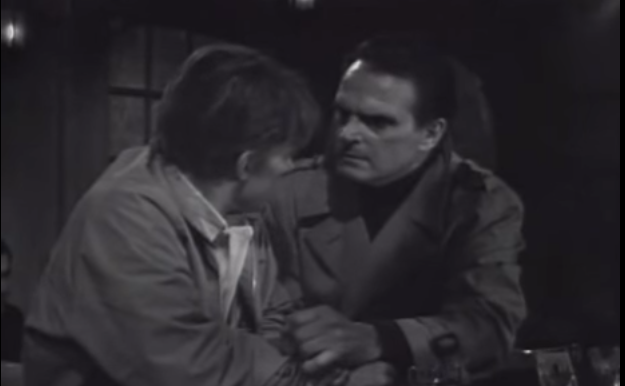 Jason McGuire confronts Willie at the Blue Whale and offers him the $500 Elizabeth Stoddard gave him to leave Collinsport, but Willie says he wants to stay. Maggie Evans is in this episode. I'm not sure how she fits into the story, but I know she was in the movie House of Dark Shadows as one of Barnabas' victims. What I learned in this episode: Willie may be a vampire. I now officially have no idea who half the characters are of why Josette is in both of the movies and in this storyline, also. I have no idea when she will appear in the show. "Willie, why are there specks of blood on your sleeve?"